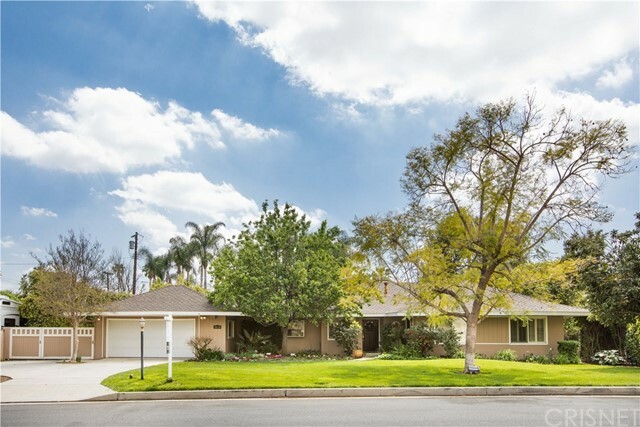 All Northridge homes currently listed for sale in Northridge as of 04/26/2019 are shown below. You can change the search criteria at any time by pressing the 'Change Search' button below. "Gorgeous turn-key 10 bedroom, 9 bathroom single family residence with detached pool house/rec. 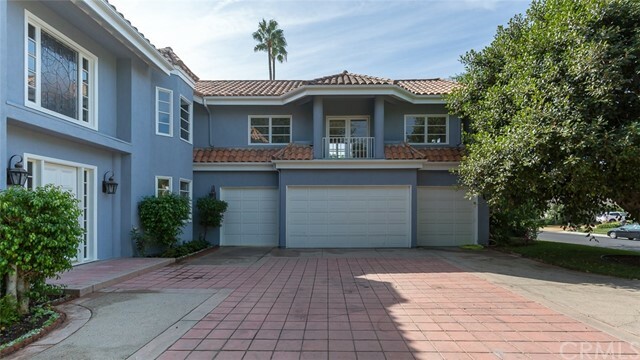 room and pool which can be purchased alone for $2,200,000 or together with the adjacent 7 bedroom, 4.5 bathroom duplex located at 17433 Nordhoff St. listed for $1,100,000. Additional flex in price if purchase together. Huge lots, ample parking, new roofs, solar paneling, new a/c units, beautifully renovated interiors including updated kitchens and bathrooms, new windows, and well-manicured landscaping. Both properties are being delivered vacant and were previously operating as income properties. Potential uses include: primary residence, Air BnB, student housing, fraternity/sorority house, assisted living, nursing care, hospice care, sober living." "Absolutely Delightful Custom Estate, in a Prestige Gated Running Springs Community. This Excellent 5,800 Sq. 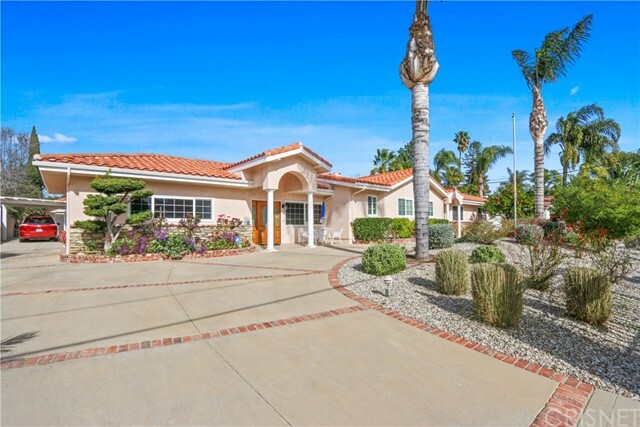 Ft. Home w/ 5Bedrooms and 5.5Bathrooms Situated on a Huge Lot of approx. 18,000 sq. ft. Living Room Features Fireplace, High Ceilings w/ Windows Which Allow in a Plenty of Natural Light. Gourmet kit w/Quartz Counter Top Center Island, Brand New High-End Stainless-Steel Appliances and Breakfast Nook! This Property Freshly Painted in and out. Master Retreat w/Sitting Area Fireplace and a Balcony Overlooking the Entertainers Park Like Backyard w/Sparkling Pool, Spa, Built-in BBQ, and Private Tennis Court. Conveniently Located Close to Shopping Centers and Restaurants. An absolute must see!!!" "Welcome to Running Springs, one of most distinguished guard gated communities in Northridge, offering 41 custom dream homes. Architecturally stunning English Tudor, dramatic lines & character abounds. Almost 5600 sq ft on a 17,500 sq ft lot, 5 bedrooms, 6 baths, plus office, bonus room, downstairs bedroom, 4 fireplaces, pool/spa and Sport Court. Elegant, sophisticated with stately lines, perfect for entertaining! The home exudes warmth, character and beckons memory making. This flat nearly 1/2 acre lot feels like a resort, spectacular pool/spa with built in slide, custom stone work, patios, gazebo, oversized outdoor kitchen, Sport Court and still lots of peaceful mature landscaping and expansive grassy area. The craftmanship of this fine estate is truly a sight to behold. Inlaid flooring, coffered ceilings, rich warm wood custom panelling & wainscoting, crown moldings, beamed gridded ceilings, soaring wood open beam ceilings in Bonus Room. 5 bedrooms plus an office w/ leaded glass windows, turret & custom panelling are the perfect setting to work in this home office. Spacious Chefs kitchen, center island, stainless steel appliances & professional style range, the perfect space to make gourmet meals. The breakfast nook overlooks rear yards, this kitchen is so special. Each bedroom is ensuite, the Master Suite is so romantic & inviting with sitting area, fireplace, his & hers walk in closets, dry sauna & large walk out balcony over looking sprawling manicured grounds." "The ultimate entertainers paradise! 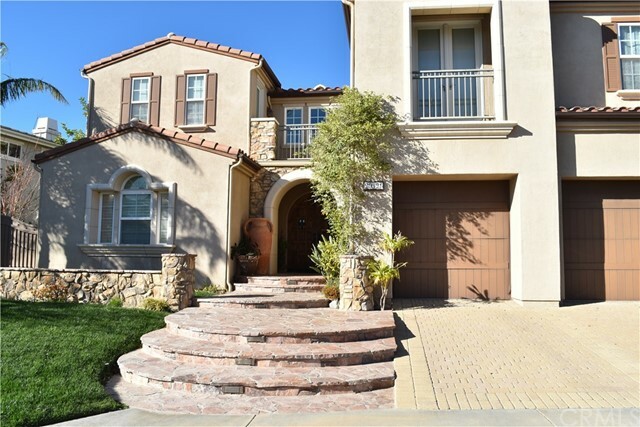 Prestigious guard gated Rennaissance community in Porter Ranch. Fine estate home full of upgrades. Private pool, spa and build in BBQ. Dream kitchen. Second master on first level with enclosed bath. Second floor master have enclosed office with build-in cabinets, fire place and balcony overlooking the backyard. 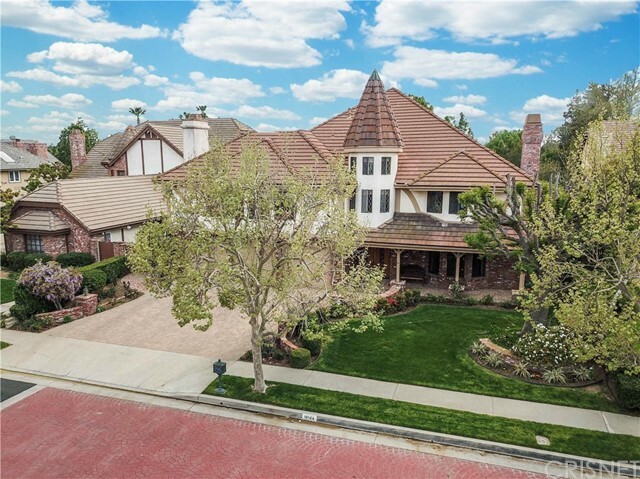 Neighborhoods: Rennaissance Other Fees: 45 Sewer: Sewer Connected, Public Sewer Topography: LL"
"Extraordinary opportunity to purchase one of the finest estate homes in prestigious guard gated Renaissance community. Lovingly maintained by original owner. Seller spent $500,000+ on custom upgrades and landscaping. 5448 square feet of luxury living on a .26 acre lot. The ultimate entertainers paradise! Private pool, spa, sitting area with build in BBQ. Entry level guest suite on the left of entrance. Incredible kitchen with build in Sub-Zero refrigerator, Thermador Professional 6 burners cooktop, Thermador double oven, food warmer drawers, custom cabinets and spacious breakfast nook. Formal Living room with cozy fireplace and French door open to covered patio. Formal Dinning room, Family room open to kitchen. Master suite offered private office with fireplace and balcony overlooking pool area." "Not just a home....it's a lifestyle! Updated Coastal-Chic 1 story Ranch home with guest house, ultimate entertaining backyard & pool. The extensive collection of windows lends volumes of natural lighting and fabulous views at every turn of the stunningly lush backyard. Carefully crafted white wood details include vaulted ceilings, beams, bead board, tounge & groove, crown molding and more! Hardwood floors thru majority of the home. The updated kitchen with its white cabinets, carrera marble & stainless steel appliances features state of the art amenities that will dazzle even the most experienced of cooks! Line up includes induction cooktop, steam/convection oven, microwave drawer, built in refrigerator, touch-on faucet. Butlers pantry has beverage refrigerator, 2 refrigerator drawers & a wine nook. Kitchen and butlers pantry cabinetry designed with extensive use of drawers! Very private Master suite with sitting area, built ins, his/hers closets allows access and views of the lush backyard. En-suite master bath flooded with natural light offers large deep soaking tub, steam shower and his & hers vanities. Vintage dresser is one of many custom touches! Laundry room convieniently located in bedroom wing. Guest house has high beam ceiling, private bathroom with shower, kitchen with sink, refrigerator, microwave. Room for stove and table. Multiple windows and french doors provide stunning views of the yard. If you love to entertain and garden...welcome home!" "OWNED SOLAR!! !Fully upgraded Sherwood Forest single story pool home with 3 bedrooms, 2.5 bathrooms PLUS a permitted garage conversion into 200 square foot in-law suite with an additional s bathroom and separate entrance! The kitchen has Omega Dynasty all wood cabinetry, granite counters, center island with breakfast bar, tile floors and a 48 Viking gas range with a hood and convection oven! Formal Dining, living and family room give you plenty of options to entertain! There are two sliding glass doors leading to your backyard oasis, patio area with firepit, huge sparkling pool, and an additional covered patio area with a large island of counter space with built in BBQ and Viking grill. All windows have been upgraded to Anderson dual pane low e glass, and newer asphalt roof with a 50 year warranty. More recent updates include full property security camera system including 9 HD 1080p cams, Door Bird Video Intercom system, front fence with electric lift master gates, wood flooring, all new custom entrance doors, re-piped, dual a/c units, dual tankless water heaters, furnace, permitted in-law suite, permitted carport, water conserving stamped concrete driveway, full house water filtration system, roman shades and drapes, new duct work, Nest thermostats and smoke/Co2 detectors, rain gutters, removable pool safety fence, backyard artificial turf, swing set, chicken coop and vegetable garden. Solar panels system includes 36 panels! This home literally has it all!!" 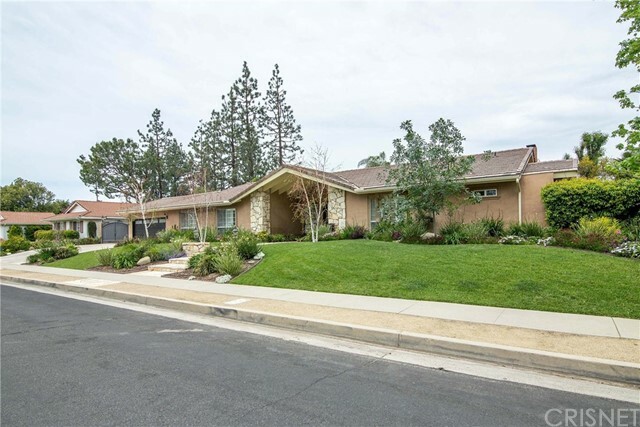 "Fully remodeled bright & open 2,499 sqft turnkey Smart home with premium features! Imported dbl paned French doors & casement picture windows, Oak doors, maple hardwood flooring, white 2x4 marble porcelain flooring. Entertainer's high-end gourmet kitchen, white quartz counter tops, island & waterfall, Dacor 42 built-in side by side fridge, Bertazzoni 36 gas range, Fisher & Paykel dbl drawer dishwasher, smooth vaulted ceilings & skylights. Bi-fold glass door in living room offer views of the large pool w/a tastefully landscaped yard & BBQ area. LED recessed lighting throughout, network rack, security cams, intercom sys, auto gate, smart switches, 5-ton HVAC system w/NEST. Bathrooms have TOTO washlets & white quartz counter tops w/marble flooring, glass shower doors. 19,901 sqft lot offers ample parking, fruit trees, water recycling system, 4-car garage with potential to convert to 2 bed 2 bath in-law suite if so desired (gas, electrical & plumbing ready). Many more must see features." "Welcome to Chateau Highlands, land of sprawling lots & custom homes. Elegant, sophisticated, character & charm abound. 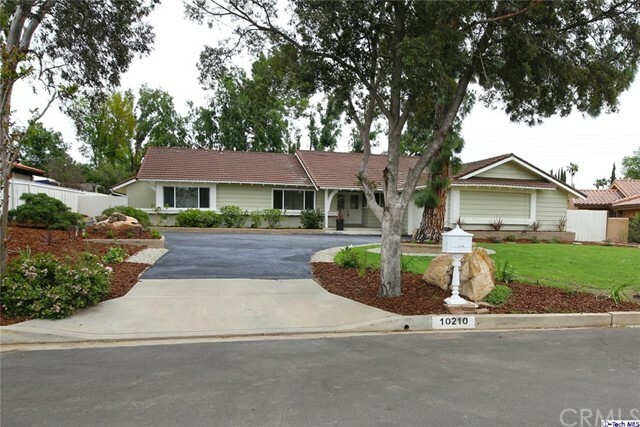 Traditional California single story Ranch w/ detached 2+1 bedroom Guest House approx 1,000 sq ft. Main house is 2911 sq ft 4+3, a total of 3911 sq ft on a 16,700 sq ft lot. Main house is filled w/ traditional charm, floor to ceiling statement fireplaces, substantial hearths & mantels, also a fireplace in the dining room. Hardwood floors, massive wood beamed ceilings, built in bookcases & walls of windows. Smooth ceilings, plantation shutters, clipped ceilings, terrific niches galore! From the moment you arrive this warm and inviting home sets the back drop for memory making! Open welcoming floor plan, with scrumptious remodeled kitchen & formal dining room with wainscotting, very light and bright. This remodeled kitchen with custom white cabinets & granite counter tops has stainless steel appliances, pantry & extended counter space lead to separate bedroom wing with private bath. This oversized bedroom could be a 2nd master suite or inlaw quarters. 3 bedrooms on the opposite side, all with hardwood flooring and lots of built ins. Large covered patio with expanded grassy area, mature landscaping and blooming flowers galore. Detached 2 bedroom, 1 bath guest house with full kitchen & living room. Separate entrance and private parking. 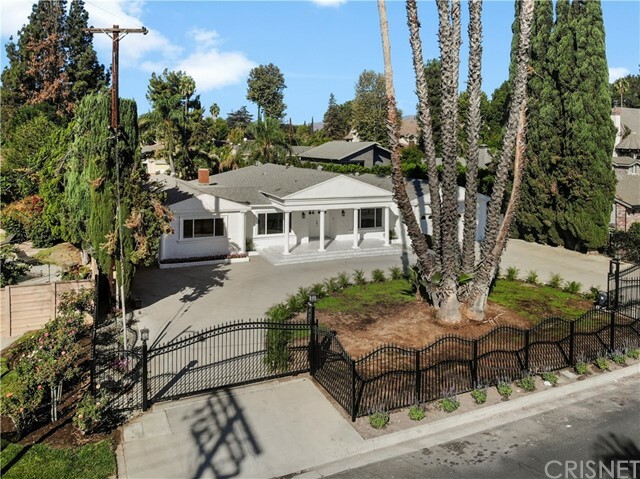 Very rare to find a 2 bdrm guest house, in a prestigious, well manicured neighborhood! Walk to award winning schools." 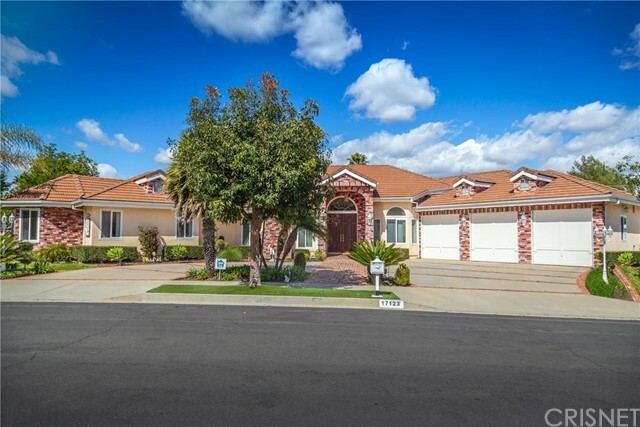 "Beautiful 5 bed, 3 bath home located in the heart of Northridge. All 5 bedrooms have wood flooring. Behind the iron gated fence you will find ample parking in the circular driveway. The family room has a double sided fire place made of stone and operates with gas and wood. Carpet flooring in the living room, wood flooring in the dining room. 3 full bathrooms, 2 with bidets and quartz counter-tops and a separate indoor jacuzzi tub. Outside there is a tranquil backyard with a beautiful gardening area with fruit trees. A large in ground swimming pool perfect for those hot days! There is a detached 2 car garage with carport and accessible RV parking. On the side and back windows there are window guards. Home is walking distance to CSUN and near shopping centers, mall and transportation. Make an appointment to see it today!" "Back On The Market!! 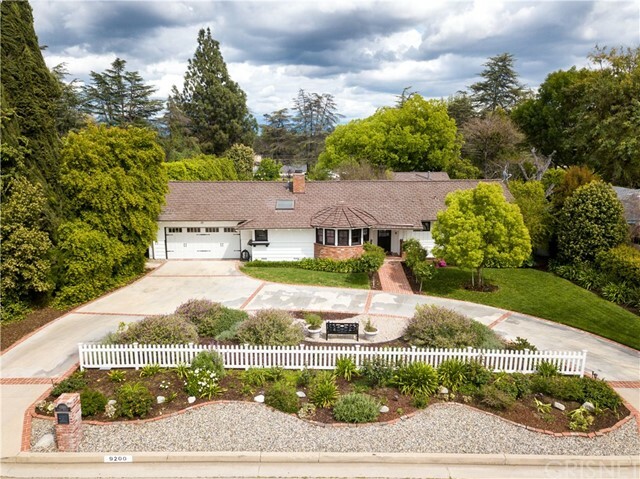 !Welcome to this immaculate completely remodeled Northridge stunner! As you enter through the gates onto the circular driveway, you will be greeted with beautiful white tile stairs leading you to the front double door. Walk in to vast open space where you will find the formal living room with fireplace and dining room that leads you to the backyard. Entertain your guests in the chef's kitchen with center island, quartz counters, stainless steel appliances, a built in fridge and wine cooler alongside the everyday family room. Property features include 4 bedrooms, 3 bathrooms, over 3,300 sqft living space on a 19,000 sqft lot, a master suite with walk in closet, a laundry room, 2 car attached garage and so much more. Walk past the family room where the sliding door will lead you onto the covered patio. Enjoy the pool on those hot summer days and the vast open space for all your gatherings." "Absolutely gorgeous custom built single story home with extra high ceilings throughout and a 3 car garage. Four bedrooms, three and a half bathrooms with 3,612 square feet, on a 17,671 Sq.Ft. lot! Awesome curb appeal with brick ribbon detail, gabled roof, and double door entry. Smooth ceilings and recessed lighting throughout. Marble foyer leads to step down formal living room, family room, and dining room. Formal living room with hardwood floors, fireplace, and built in book shelves in the hallway. Family room with hard floors, high ceilings, custom built-ins, wet bar, fireplace, and views to the backyard. Kitchen with Caesarstone counter tops, beautiful large tile floors, Center Island with additional sink, gas stove, dishwasher, trash compacter, walk-in pantry, desk area, open to the extra-large breakfast area family room. Hallway ceiling is over 17 feet high with architectural design to allow for plenty of natural lighting. Extra-large gorgeous master bedroom with walk-in closet, and stunning master bathroom featuring a separate tub and shower, double sinks and a sauna. Fourth bedroom and bathroom off of the kitchen. Low maintenance backyard with overhang, partial turf area, and large side yard! 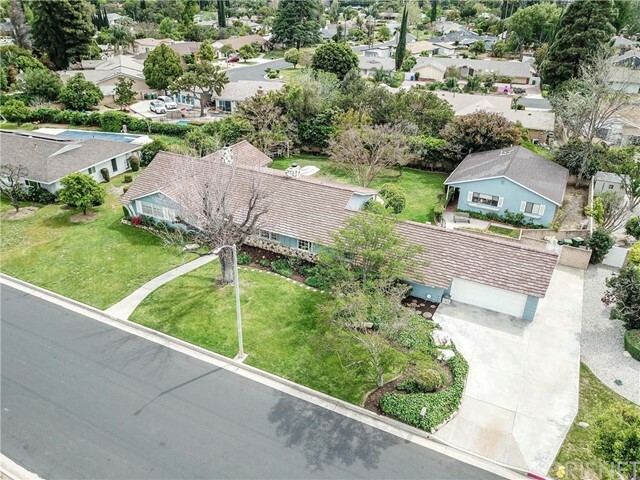 Located in the highly sought after Granada Hills Charter High School." "Located in Sherwood Forest! 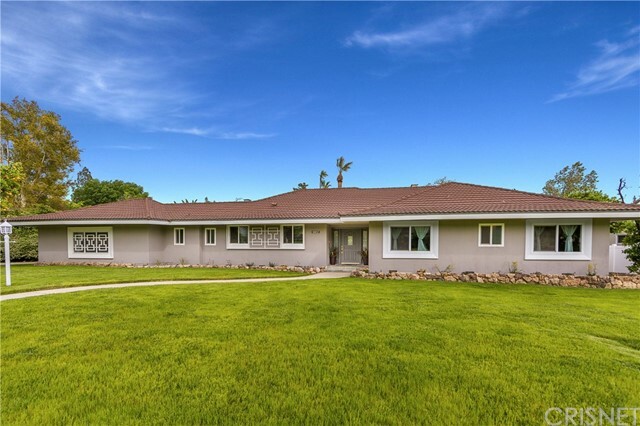 Absolutely gorgeous gated property with a single story mid-century sprawling ranch home. Automatic gates open to a circular driveway, artificial turf, plenty of fruit trees, attached garage and commanding curb appeal! This home boasts 4 master bedroom size bedrooms and 3.5 bathrooms. Enter into the updated double doors and view the emotional living room with high vaulted wood beam ceilings and custom fireplace with doors and windows facing the beautiful back yard. Architecturally designed kitchen with granite counter tops, Viking stove and built in Sub Zero refrigerator that is open to the breakfast area. Refinished hardwood floors, smooth ceilings, recessed lighting, and crown molding with natural light throughout. Dramatic master bedroom with high wood beam ceilings, built-in desk area, double doors to the back yard, walk-in closet, and updated master bathroom with two sinks, Travertine tile, bath tub, and separate custom shower w/ two shower heads! All secondary bedrooms are like mini master bedrooms! Updated Jack and Jill bathroom. 4th bedroom off of the living room with its own bathroom! Separate refrigerated 400+ bottle wine closet. 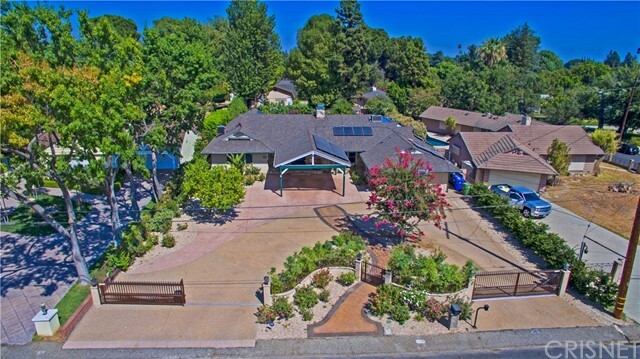 Amazing back yard with large grassy area, gazebo, gated pool and a magical tree house!" 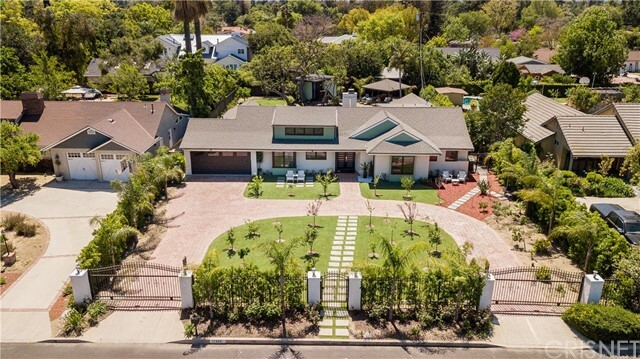 "Gorgeous turn-key 7 bedroom, 4.5 bathroom duplex located at 17433 Nordhoff St. which can be purchased alone for $1,100,000 or together with the adjacent 10 bedroom, 9 bathroom single family residence with detached pool house/rec. room and pool listed for $2,200,000. Additional flex in price if purchased together. Huge lots, ample parking, new roofs, solar paneling, new a/c units, beautifully renovated interiors including updated kitchens and bathrooms, new windows, and well-manicured landscaping. Both properties are being delivered vacant and were previously operating as income properties. Potential uses include: primary residence, Air BnB, student housing, fraternity/sorority house, assisted living, nursing care, hospice care, sober living." "MUST SEE!!! Rare opportunity to purchase this breathtaking, newly remodeled 5 bedrooms, 4 1/2 bathrooms home in Northridge CA. Traditional meets contemporary in this spectacular 2568 square foot living space. The oversized driveway in the front allows for RV parking on the side. A charming double-door entrance welcomes you to a luxurious living room with a fireplace. The gourmet kitchen flaunts an open floor plan, long island, quartz countertops, counter seating, stainless steel appliances, and a wine cooler. The Master bedroom offers a walk-in closet, large double sink bathroom, soaking tub, and direct access to the beautiful backyard through elegant French double doors. With a large patio overlooking the pool, basketball court, and peaceful garden, this property provides a truly private hideaway. Located in a prime neighborhood with 17,601 square feet of flat usable space, this property presents the ideal home for families and more! 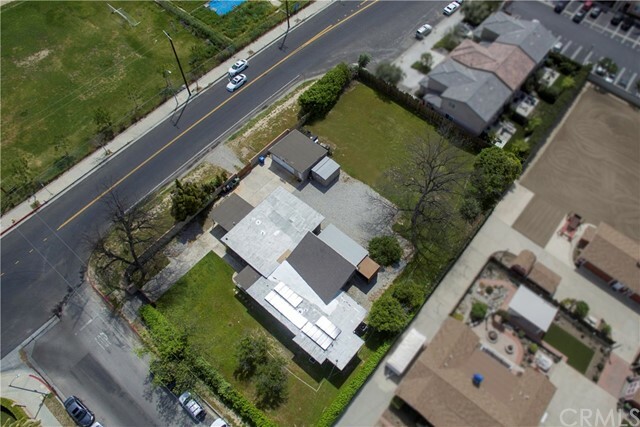 Close to CSUN"
"Investor/contractor opportunity to build a small-lot subdivision or apartment building on over a half-acre OR simply live in a beautiful turnkey compound! 2646 square feet filled with 4 spacious bedrooms and 3 large bathrooms. The chef-inspired custom-built kitchen boasts a generous sized island and stylish Caeserstone counters. The tiled back splash accents the gorgeous wood cabinetry; recessed lighting highlights the high-end appliances, including a Viking 6-burner professional stove and hood. The private Master en suite has a huge walk-in closet, and private entrance that leads to the patio and hot tub. The sun-splashed tiled bath has a wonderful glass-enclosed shower, oversized soaking tub and large vanity with double sinks. Stunning fixed glass windows accent the vaulted ceilings in the living room. The adjacent bonus room has ample space to serve as an office, gym or kid s play area. This property boasts a detached 440-square foot garage, RV/boat/toy parking galore, mature fruit trees and even space for a swimming pool! Additional amenities include a SUNRUN Solar System, central air & heat and full-service laundry room. Just minutes walking or driving distance from the popular Northridge Fashion Center and Cal State University Northridge." 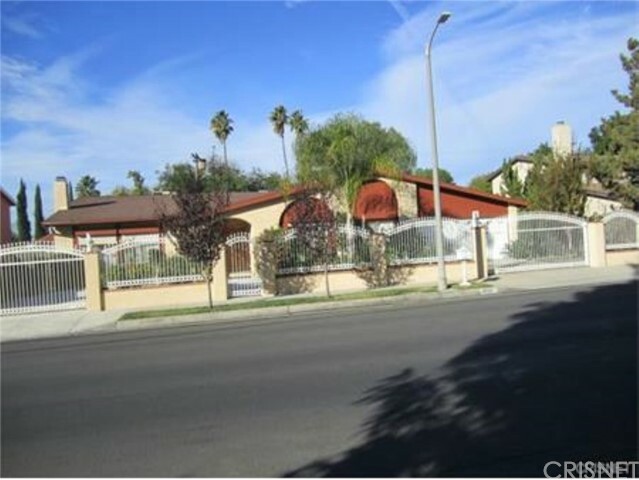 "Located within one of the most desirable neighborhoods in Northridge, this one story, 2,602 sq. ft. custom built home is an entertainer s dream. 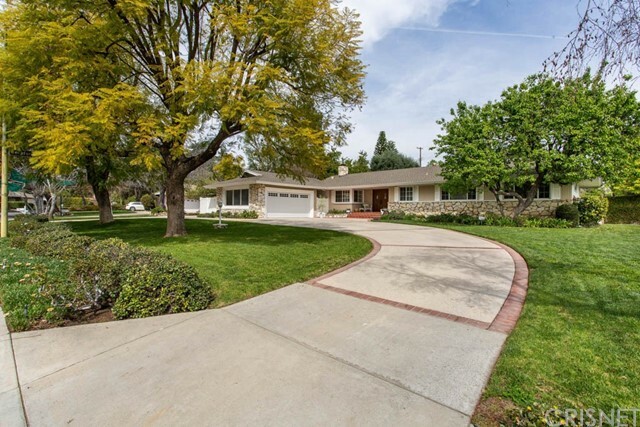 This traditional ranch style home has exceptional curb appeal, with a sprawling front lawn, mature trees and well-manicured gardens. Through the inviting front entrance you ll find beautiful hardwood floors, as well as smooth ceilings, recessed lighting and dual-paned windows complete with classic plantation shutters. The living room, with its cozy fireplace and built in bookshelves, opens up to an airy garden room with three sets of French doors, tons of natural light, and a view of the amazing backyard. The top-of-the-line chef s kitchen is appointed with premium finishes including quartz countertops, stainless steel Viking appliances, built in seating and a custom skylight. There are four spacious bedrooms, including a large master suite with walk-in closet and spa-like bathroom complete with double vanities, custom tile, large soaking tub, frameless glass shower and dedicated tankless hot water heater. Outside, you will experience true resort style living with the perfect balance of hardscape and landscape in this lush yard. This incredibly private 17,640 sq. ft. property features a sparkling pool/spa, huge covered patio with built in bbq, expansive lawn, fruit trees, basketball court, multiple sitting areas, storage shed as well as RV parking. All of this plus so much more, make this home a must see!" "Welcome to your sprawling, ranch style, single-story, pool home located in the desirable Devonshire Country Estates. Located on a large, usable lot, this home was built for flexibility. The spacious and open floor plan offers unique options for expanded families or home office. Offering 5 bedrooms and 4 bathrooms, this home is just what you have been searching for. As you enter the front door, your eyes are captivated by the open and bright floor plan. In the living room, you can relax with loved ones while enjoying a cozy fire and taking in the view of your pool and entertainers backyard. The remodeled kitchen offers stainless steel appliances and ample counter space for an active family and usable space for the Chef in your family. Off the kitchen you will find one of the remodeled bathrooms that boast a walk-in shower, stylish tile and custom glass enclosure. The massive bonus room offers endless possibilities with its own private entrance and access to a private bathroom. This area can be used as a second master suite, In-law quarters, game room or bonus room. The possibilities are endless! This home is truly a must see! Some additional features include new exterior paint, new updated thermostats, newer electrical, upgraded AC system, copper plumbing, newer water heater and newer sewer line to the street, coax and cat 5 drops in the living room, bonus room and each bedroom and custom TV wiring in both the living room and master suite lounge." "Enter into this tastefully remodeled 5 bedroom, 3 bathroom home just moments from California State University Northridge. Double-door entry invites you into the formal living area with fireplace and formal dining room, both directly adjacent to the open concept kitchen with state-of-the-art appliances and granite countertops. Guest bedroom, full bathroom, and laundry room on main floor, with four spacious and bright bedrooms and two bathrooms on second level. Master suite with walk-in closet, master bath, and deck overlooking the neighborhood. Informal living room with a second fireplace, wine cellar, and french doors leading you to the spacious and private yard, covered patio, with pool and spa. Great for entertaining, and direct access to the 3-car garage. An opportunity you simply cannot miss!" "Devonshire Country Estates sprawling single story traditional! Prestigious curb appeal, very stately lines! From the moment you arrive, it will be love at first sight! Over 2800, sq ft, 4 bdrm, 2.75 baths, Formal Dining Room & Family Room. One of the nicest streets in Northridge! Pride of ownership, spacious lot w/ expansive lawns & huge gated RV access. Extensive stonework leading to glass / bronze iron double door entry. Wood floors, crown moldings, oversized baseboard & casings, recessed lights, built in ceiling speakers, mostly dual paned windows & plantation shutters, skylight & ceiling fans. Shows like a model home! Rich remodeled kitchen w/ granite counters & walk in pantry. Formal Dining Room w/ wainscoting & crown molding. Elegant Living Room, impressive brick fireplace, custom wood mantel & surround. Newer copper pipes, remodeled bathrooms, just re roofed & smooth Santa Barbara stucco finish . 2 separate bedroom wings, perfect for privacy & separation, 3 on one side, Master on the opposite side. Scrumptious master bath w/ walk in curbless shower, frameless glass, jetted spa tub & dual vanity & sinks. Stunning stone, granite & high end finishes. His and Hers customized closets too. The bedrooms are all generous in size w/ lots of built-ins & closet space. Professionally landscaped, lush amazing yards, blooming flowers galore! Sprawling covered patio, runs most of the length of the house, so much space for entertaining! This is a must see home, only 2 owners." "Standing tall on a sprawling corner lot of Devonshire Highlands, this private single-story mid-century modern home is just blocks away from shopping and restaurants! Details include soaring ceilings, 2 fireplaces, hardwood floors, wet bar, and built-in display shelves. Large windows face a beautifully landscaped front yard with access to the pool from almost every room in the back. The open chef's kitchen boasts quartz countertops, Talavera tile backsplash, stainless steel appliances including a Thermador 6-burner gas cooktop and double Thermador convection oven; custom cabinets with soft-close drawers and interior organization. This modernized home has a brand new roof, solar panels and drought-friendly landscaping. 5 bedrooms and 3 newly remodeled bathrooms are nestled in 2 wings: 2 bedrooms + 1 bathroom on one wing; master bedroom, 2 bedrooms + 2 bathrooms can be accessed on the south. Citrus trees sweep over private backyard with grassy area for true California living!" 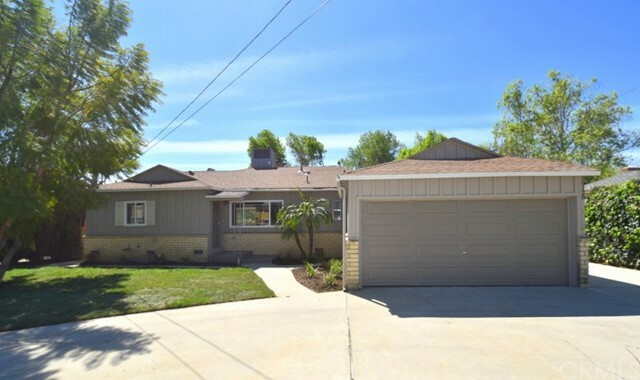 "Rare investment opportunity in Northridge to purchase two houses on one lot each w/ their own address & utility meters.19128- Just remodeled-19126 is a 2019 New Build.Rents for both houses will bring in approx.$6700 a month,estimated 7% cap rate.This is also a great opportunity for that buyer looking for a cash flow property as well as a property to live in.19128-Is a single story approx 1359 sq ft w/ 3 bedrooms,1 full bathrooms & 1/2 bath w/ a 2 car attached garage.Remodeled w/new laminate & new carpet throughout,newly remodeled kitchen w/ new white self closing shaker cabinets w/new quartz counters, new stainless steel appliances & new fixtures.There is an open living area w/a fireplace for w/ an additional room off the back of the house for a office or den.Full Bathroom has new vanity,new quartz count top,new tiled floor,tiled shower/tub and new fixtures.New interior/exterior pant,new fixtures throughout.19126- Brand new construction single story,1200 sq ft w/ 3 bedrooms,2 bathrooms & 2 car attached garage.Nice open floor plan when you enter the home w/ family room that opens to the kitchen and dining area.Kitchen has white self closing shaker cabinets,quartz counters & stainless steel appliances.Laminate floors throughout w/carpet in the bedrooms.Bathrooms have new vanities,new quartz count tops,new tiled floors,tiled shower/tub ≠w fixtures.Both properties have laundry hook ups,central heat/AC.Front & rear yard has new sod & plants.Close to shops,schools,restaurants." "Stunning find in this sought-after neighborhood of custom homes. This large traditional home has a classic look mixed with elegant modern features. As you approach this home you first notice the thoughtful landscape that blends well around the oversized circular driveway which has room for many vehicles plus room behind the gate for your toys. You are welcomed by the double-door entry that leads you into this well maintained home with clean, sleek lines awaiting your personal touches. The gleaming oak hardwood floors flow through the living areas into the bedrooms and enhance the expansive layout of this home. The living room has a view of the entertainer s yard where you might make the custom terracotta patio your favorite breakfast spot. There are recessed lighting and ceiling fans throughout. There is a formal dining room with fireplace with lots of room for building family traditions around the table. You will truly enjoy the large but efficient kitchen which features granite surfaces, loads of cabinets, lots of natural lighting as well as an eating area. There is a large and airy laundry room off the kitchen. A large pool with spa prominently sits at the rear of the property and further enriches the enormous rear yard with its impressive park-like grounds and lush, velvety lawn just right for lots of outdoor living. This home was designed with comfort in mind." "Reduced. 4 Bedroom 3 bath Single story upgraded throughout. Almost 3000 Sq.Ft. Excellent location. Gated and completely private. Best Schools in the Valley. Walk to schools, CSUN & Mall. Concrete circular driveway with 2 remote controls for gates/garage. Grand double door entry with step down living room has beamed ceiling with wood burning fire place. Large formal dining room. Vaulted ceilings. Huge Gourmet cooks granite kitchen with center island, breakfast bar and G.E. Monogram 5 Burners Gas cooktop, large Vent A Hood w/2 exhaust fans. Kitchen Aid Trash Compactor and Whisper quite dishwasher. NEW 1250W Microwave. Tiled floors. Recreation room has hard wood floors w/fireplace and 4 skylights. Family room with sky light and granite wet bar. New Central vacuum cleaning. 2 Air conditioning and heating. Exquisite master with marble, jacuzzi/shower and 2nd separate marble shower. Dressing area has marble floor with sink. 3 other large bedrooms with cherry color floors. Indoor laundry. Attached tiled garage with new ceiling and built in overhead cabinets has direct entry to the house. Yard has fruit trees and large KOI pond with water fall. House is upgraded thru-out. Seller is a Real Estate Licensee."